Traveling is my No. 1 hobby,” says Cheryl Harris. Just in recent months, Harris has hiked in Colorado Springs, Colo.; hung with friends in New York and Miami; and, at age 44, has already checked cities such as Buenos Aires, London, Madrid and Tokyo off her bucket list. So, considering how much of her free time she spends in the air, Harris’ day job seems fitting. Harris has been with American Airlines for the past eight years, the last year of which she has served as the organization’s director of talent development. Her accomplishments with the Fort Worth, Texas-based airline — which merged with US Airways in December 2013 — have landed her a spot on HRE’s HR’s Rising Stars list. For one, Harris and her team have helped design and execute the Airport Leadership Program, an American leadership initiative that has been delivered to more than 1,500 airport managers thus far. The three-day program, designed to “reset expectations of how to lead at the new American Airlines,” the program includes content on “how to run the business as well as ways to be better leaders for our people,” says Harris, who has also led a team that revamped the organization’s orientation program. New employees now head to corporate headquarters for a new-hire reception hosted by members of American’s Employee Business Resource Group, which are groups of the airline’s employees that share common backgrounds, purposes or interests tied to supporting the organization’s workforce and workplace. New employees also attend a variety of onboarding events where new AA employees meet current ones as a way to help build relationships and strengthen the commitment of existing employees and new hires alike. But her greatest achievement, and biggest challenge, she says, has been revamping the hiring process for flight attendants. Flight-attendant hiring at American had ground to a halt in the wake of the Sept. 11, 2001 terrorist attacks, and the organization hadn’t brought on new flight attendants after that, focusing instead on recalling furloughed ones to meet staffing needs. In that time, the technology and tools available for this critical, high-volume hiring process had advanced significantly, which created an opportunity to overhaul the process. Harris helped to create a new, end-to-end attendant hiring process that launched in November 2013. She partnered with American’s flight-services department to design the process, define the requirements and develop an assessment test, which has helped bring in more than 1,000 new flight attendants per year since it was launched. Harris played an active part in sourcing top candidates, which, in some cases, required a very specific — and not necessarily common — set of skills. For example, American planned to begin flying from Dallas/Ft. Worth to Seoul, South Korea, and needed flight attendants fluent in Korean to staff these flights. 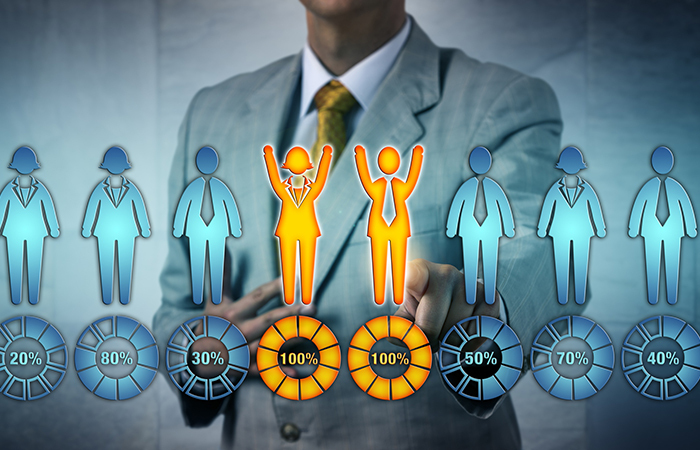 To determine who among these candidates may fit best with the organization, Harris and company implemented a personality assessment test from Assess Systems, a Dallas-based provider of talent selection and people development assessment technology. “We have a certain personality type that we’re looking for — friendly, customer-focused — and we wanted to create scenarios [that would help reveal the requisite personality traits],” she says. The aforementioned merger has brought thousands of flight attendants and other employees from both companies together to share facilities at close to 100 airports. Going forward, Harris and her team will be responsible for all aspects of talent management, including helping leadership to identify and develop the employees who will lead the airline in years to come, she says. Harris is “absolutely committed” to the success of American and its employees, and has displayed a knack for understanding and empathizing with her colleagues at all levels, says Mike Waldron, the organization’s managing director of diversity and talent management, and her supervisor. “She is in tune with others and keeps the wide range of our employees’ interests in mind as she does her work,” says Waldron. “You can be technically smart, but if you can’t relate to your clients, you’re dead in the water. Mark McGraw is a freelance writer who has covered human resources for nearly a decade. He lives in the Philadelphia suburbs and earned a bachelor's degree in professional writing from Kutztown University. Employers can now seek to resolve potential and actual pay violations of the FLSA.